It’s a revolutionary concept that could change everything we think we knew about space travel. Many are calling it the Space Train, and it is a spacecraft that could take mankind and equipment to Mars in just 37 hours. The fascinating spaceship called Solar Express is literally a space train that could travel on a never-ending high-speed route –in other words, it never slows. Bombardier worked together with engineer Oliver Peraldi in order to offer a glimpse at future space travel. 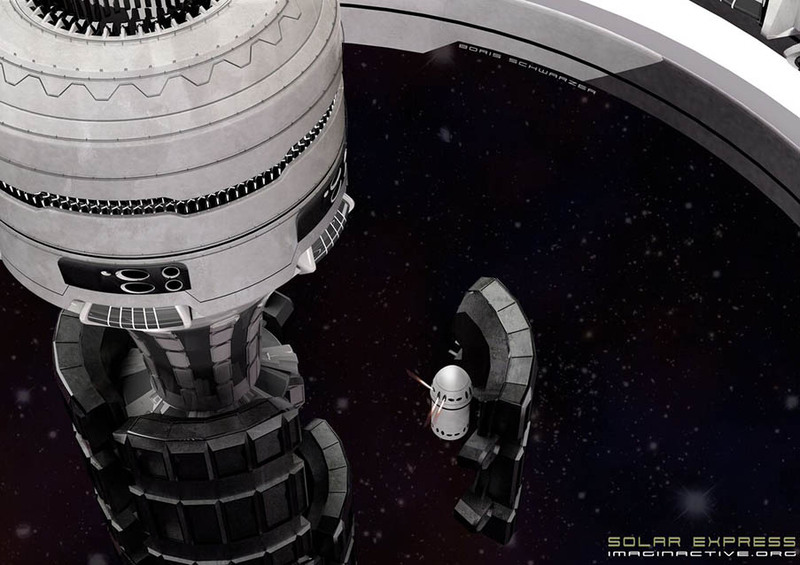 According to its creators, Solar Express could be used to transport equipment, minerals, other vessels and even people living in sections under gravity. The moment science fiction meets reality. A massive ‘space city’ would orbit around the longitudinal axis and offer gravity within it, so humans could be able to walk and live there during prolonged periods of space travel. 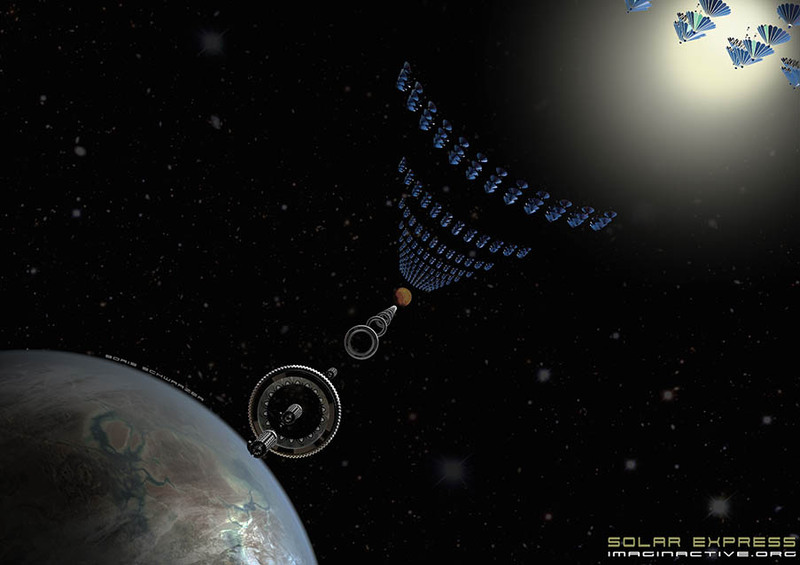 Its creators say that the faster Solar Express travels, the more expensive it will be to catch. Bombardier envisages different routes which obviously have different prices. Speaking to Forbes, Bombardier said that the first spaceship would be able to shuttle cargo and transport people between our planet and our moon ni just seven hours completing a speed of 15km/s. Solar Express is something you’d probably see in a star trek movie. The spaceship is in fact a series of aligned cylinders. Each of the cylinders would need to have a length of at least 50 meters. Each space train would be made of six vehicles places in line. The cylinders making up the train would be divided into four cargo bays and could interchange while in flight with the aid of smart maintenance robots. Before obtaining its maximum speed, Solar Express would use the help of boosters to accelerate. Any leftover fuel could later be used to make course adjustments if needed.